The Riviera of the Flowers is the ideal place to host events in every season of the year. Every month of the year is blessed by decent weather thanks to the temperate climate of the region which ranges from long sun filled days with the sea lapping the coastline to the foreshortening of even the longest winter. There are approximately 20 noteworthy events staged each year in the region ranging from theatre shows, cultural events, sports and also international occasions. All of these are obviously different in nature, but all are sure to entertain those who come to them. These events, which are mostly staged outdoors, will enrich the holiday of everyone while the pleasant year round climate, the beauty of the hinterland and the loveliness of the sea, complete the picture. 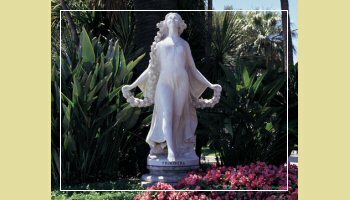 Sanremo, Imperia, Ventimiglia, Taggia……the villages of the area which are rich in culture and the natural life all of this and much more besides is certain to capture the eye and hold the attention of any visitor. Each event is unique and unmissable whether it be a theatre production, a sporting contest, a historical representation or a procession of flower carts. The uniqueness of the Riviera is best seen in these manifestations where the true nature and the strongest points of the area are often brought to life. The sea and the wind in sporting contests, the old towns with their squares, the churches and palaces, the soft light which helps to create a spellbinding atmosphere as a backdrop to the theatre productions staged on hot summer evenings. Last, but by no means least, we have the processions of the flower carts which carry in triumph the typical products of this corner of Liguria, and also give their name to the region, “Riviera dei Fiori”.